The Dorje Kasung (Tib. “indestructible command protector”) is a Shambhala service organization that represents one of the “Four Pillars of Shambhala.” The four pillars— Governance, Practice and Education, Dorje Kasung (Protection), and Economy—are a key framework in Shambhala’s organizational structure. The Dorje Kasung is modeled on the ancient tradition of dharma protectors and drala warriors. Its members are trained in protecting the space in which practitioners can hear and practice the teachings. The protection extends to the teacher who presents the teachings, the teachings themselves, and the community that practices the teachings. Protection can take many forms, such as acting as a meditation hall gatekeeper to minimize disturbances at practice sessions, planning for community safety, and providing transportation for teachers. In addition, Dorje Kasung members can specialize in a variety of areas, including crisis intervention, mediation, and ongoing personal service to lineage holders. Dorje Kasung training strengthens one’s capacity to work with heightened and chaotic situations (in the mind or environment), and to find non-aggressive ways to resolve conflicts. 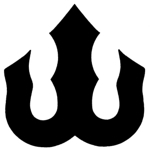 The motto of the Dorje Kasung is “Victory over War.” War represents the struggle with the “three poisons” identified by the Buddha: passion, aggression and ignorance. Victory is acknowledging these poisons and meeting them with insight and loving-kindness. 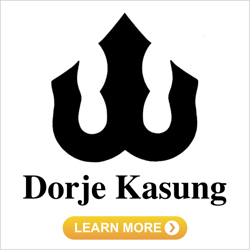 You can find out more about the Dorje Kasung at kasung.org. See also Shambhala Times posts tagged Dorje Kasung, which help put a human face on the activity of the Dorje Kasung.